I am looking forward to seeing all of you in Miami this August for #NABJ19! 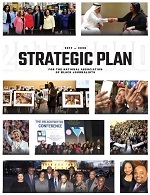 As a proud product of NABJ’s Multimedia Student Projects, I am pleased to announce that this year we will be celebrating the 30th anniversary of this unique and invaluable program. For those of you unfamiliar with Student Multimedia Projects (also known as Student Projects), during each annual convention aspiring college journalists are selected to participate in a one-week, intensive workshop. They are mentored and trained by professionals, who volunteer their time to teach these budding journalists how to publish, produce and file in print, broadcast, radio, digital -- all multimedia platforms. The audience and circulation of the content they produce are the convention’s attendees. They learn from the best in the business and are exposed to the real-life demands they can expect in the current journalism environment. We invite alumni to submit a 60-second video about their experience. You may choose to record it professionally or you may simply record it on your smartphone (horizontal only). We would also love to see photos or videos of you and fellow alumni during your time in the project. In the video, please answer our two main questions: 1) How was your experience during the process? 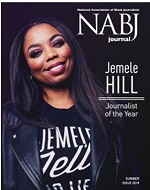 2) Where are you now and how has your NABJ experience prepared you for it? Also, feel free to add any other insights. Please briefly introduce yourself at the beginning of the video (name, current title and location). 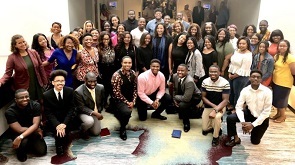 We, the members of the NABJ Student Projects 30th Anniversary Committee, are so excited to reconnect and celebrate the legacy of this rich and impactful program. You can upload your content here or by clicking the submission link below by May 31, 2019. If you have any questions or need further information, please email me at nmohan@wplg.com.